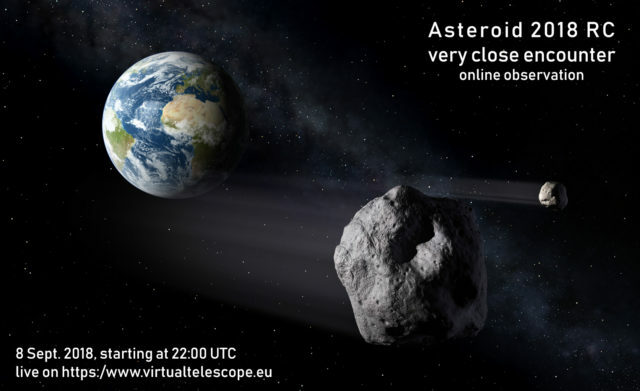 This entry was posted in Space and tagged 2018 RC, Chelyabinsk, near earth asteroids, space, The Virtual Telescope Project, Watch 2018 RC Live. Bookmark the permalink. Nothing new about asteroids and/or meteors. We’ve been hit by both off and on over the aeons (just you go and ask them dinosaurs—sheesh, they’re still sulking … how long can anyone hold a grudge? ).